No appointment necessary. Get advice now! Are you ready to find solutions to your problems and enjoy your parenting? If your answer is yes, then Welcome to our place! 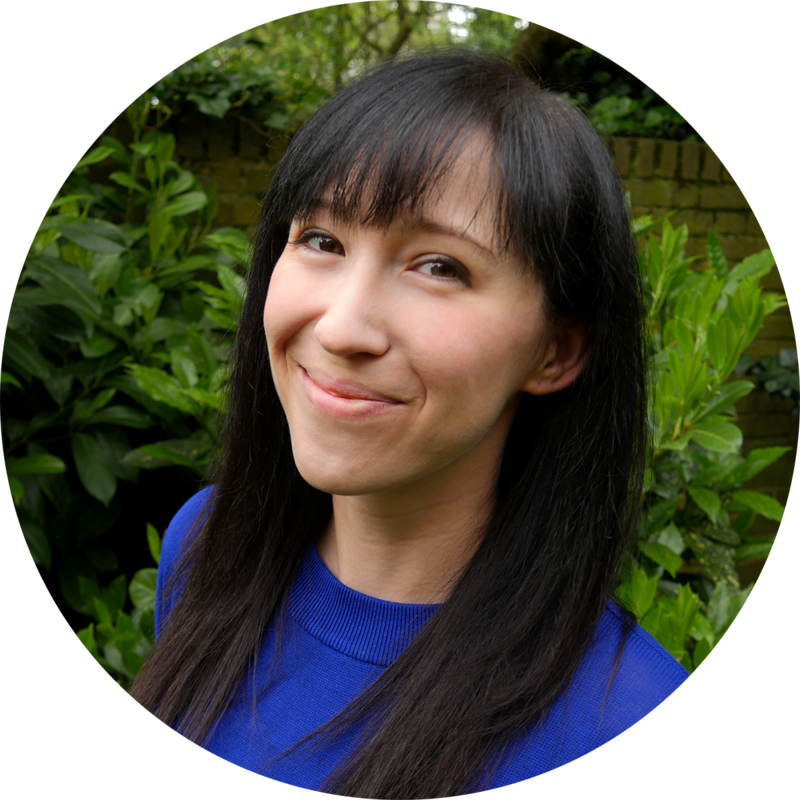 My name is Eva Matsumoto-Szentgyorgyi and I am a co-founder of Wonder Toddlers. Wonder Toddlers is an Early Years and Parenting Consultancy for busy parents like you, who don’t want to waste their time on looking for solutions on several different forums or having long meetings, but they rather spend that time with their kids and get professional advice from someone who actually knows what she is doing. I am an Early Years Professional and Art Teacher with experience working in nurseries and primary schools. I taught children from the age of 1.5 up to 14, which was an amazing period of my life as I could utilise my knowledge that I got from my studies and I gained so much experience that now it’s time for me to share everything with you! Do you face the following parenting challenges and want to solve them once and for all? Does your child have problems at the nursery such as using the toilet or making friends? Do you need some help to chose the best nursery for your child? We can discuss anything nursery related as I used to work as an early years teacher and room leader and I know how hard it is for parents. Are you anxious to start potty training your child? You wouldn’t mind some extra tips and somebody who would do this with you step-by-step? I’ve have potty trained about 60 toddlers in my career and none of them stayed in their nappies ; ) Email me and let’s make potty training a smooth process! Toddlers are called the terrible twos for a reason… I know it’s okay to throw tantrums sometimes but I’m here to help you when you tried everything and still nothing seems to work. I’ve worked with kids who would scream the roof of the house if they didn’t get something and children who kicked, hit and bit, but we’ve achieved wonderful results with parents at the end. Is your toddler going to be a big baby sister or bother? Are you worrying how your child will react to the new situation or are you already trying to figure out how to help your children to love each other, play together and help in the house? Do you need some help to decide what time your children should go to bed and how many hours of sleep they need? Or they throw a tantrum every time it’s about to go to bed? Or maybe your child can’t settle at the nursery and she can’t sleep in the afternoon? Believe me, I have never had a case when we could not find solutions to these problems with parents! Are you worried that your child is going to struggle in pre-school? Do you wish to help your child to get ready for the big change? I have 6 years of experience in developing and improving toddlers’ skills and extending their vocabulary and knowledge about the world for pre-school. Email me now and get a customised plan! My parenting consulting sessions are tailored to your specific needs and we are going to work together to solve the problems you have. It’s completely judgement-free, confidential, and built for your busy schedule. I will provide you with the best possible answer to your questions and give you support as a consultant, teacher and a friend. Book a consultation with me by clicking on the 'Consult with me' button. I will confirm your booking and we can start emailing. You tell me what challenges you are facing and what you would like to achieve. I will send you my detailed, customised plan within 2-3 days and in the meantime I will email you if I have any questions (you can email me as well if you want to add something). After a week, I will send you a follow-up email and give advice one more if it is needed. What are the benefits of the email-consultation? You don’t have to find the time and a quiet space for a phone session. You don’t need to hire a babysitter or worry about the kids meanwhile we are “talking”. You can work at your own pace. You’ll have time to process, reflect and ponder your thoughts. Some find it easier to open up and express their thoughts through writing. Emails can be saved and reread. You will have a written record of our conversations. What are the aims of the consultation? Helping to build a strong relationship with your child. Extending your knowledge on toddler development. Teaching you how to discipline without yelling and using psychical punishment. Helping you to raise happy and confident children. Getting your toddler ready for pre-school. Let's solve your problems together and enjoy your parenting journey with your kids! Once you book your consultation, I will email you to confirm your booking. Then you contact me, describing the problem you have (we start emailing) and I get back to you with a fully detailed plan within 2-3 business days plus a follow-up email! My fee is £50 for one-time email consultation, payable in advance via PayPal. Book your consultation today for only £50! I am an Early Years Professional and Art Teacher with experience working in nurseries and primary schools. I taught children from the age of 1.5 up to 14, which was an amazing period of my life as I could use my knowledge that I got from my studies and I gained so much experience that now it’s time for me to share everything with you! If you would like to make that time you have with your children happy, fun meanwhile handling your toddlers’ behaviour without repeating yourself a million times, without shouting and being stressed-out, then book an email-consultation right now! GENERAL TERMS APPLICABLE TO ALL SERVICES PROVIDED BY EVA MATSUMOTO-SZENTGYORGYI AND WONDERTODDLERS.COM. You agree that our email consultation is not a substitute for professional advice such as a Medical Doctor, Psychiatrist or counsellor. The information provided by Eva Matsumoto-Szentgyorgyi does not constitute legal or professional advice, neither is it intended to be. Information is based on Eva Matsumoto-Szentgyorgyi’s training and experience as a teacher, and it is offered in good faith. Furthermore, you agree that any decisions you make, and the consequences thereof, are your own. Under no circumstances can you hold Eva Matsumoto-Szentgyorgyi liable for any actions that you take. You agree not to hold Eva Matsumoto-Szentgyorgyi liable for any loss or cost incurred by you, or any person related or associated with you, as a result of discussions, materials, techniques or coaching offered by Eva Matsumoto-Szentgyorgyi. You understand and agree that the information expressed during email consultations is intended to be general information with respect to common parenting issues. Lastly, you agree that you shall indemnify Eva Matsumoto-Szentgyorgyi and her associates in the event of any claim, including but not limited to any claims made against the Eva Matsumoto-Szentgyorgyi, by any person related or associated with you. Nothing in the content materials shall be considered legal, financial, or actuarial advice.